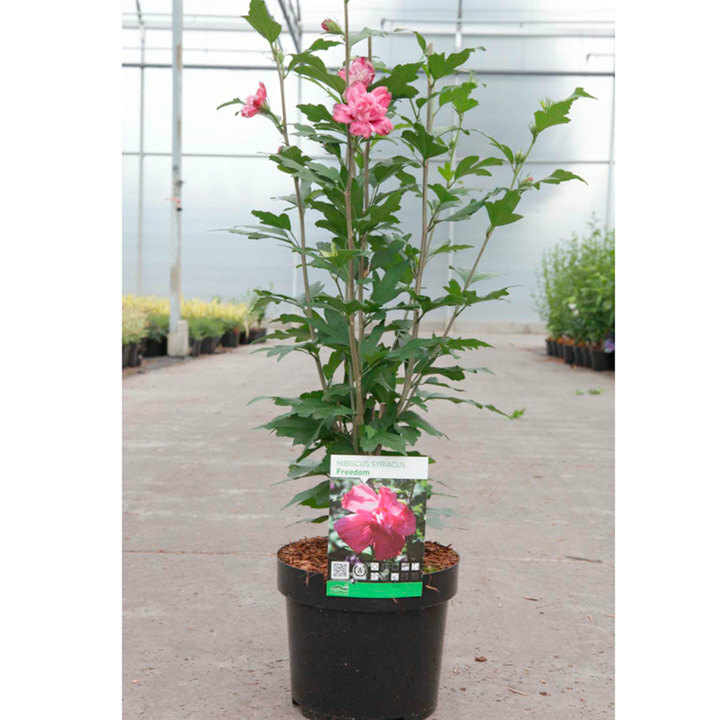 Hibiscus syriacus 'Freedom' is a rigidly upright, double-flowered shrub which features bold purplish-pink round flowers along the branches from mid summer to early autumn. It has green foliage throughout the season. Height 200-250cm. Supplied in a 3 litre pot.